With the impending withdrawal of American forces, however, the Kurdish forces in the northeast have turned toward the government in Damascus. They are in talks about reaching a deal that could allow Mr. Assad and the Kurds to coexist there as Turkey, which regards the Kurdish fighters on its southern border as a security threat, threatens to rest them from the area. Mr. Erdogan has called for the United States to help establish a safe zone in northeastern Syria, a 20-mile buffer region east of the Euphrates River that would keep Kurdish forces away from Turkey's border, and has said Turkey will move ahead with it even without American assistance. Turkey's focus on Kurdish militants in northeastern Syria may have inadvertently allowed Hayat Tahrir al-Sham to sweep to dominance, said Ismail Hakki Pekin, a former chief of Turkish military intelligence. 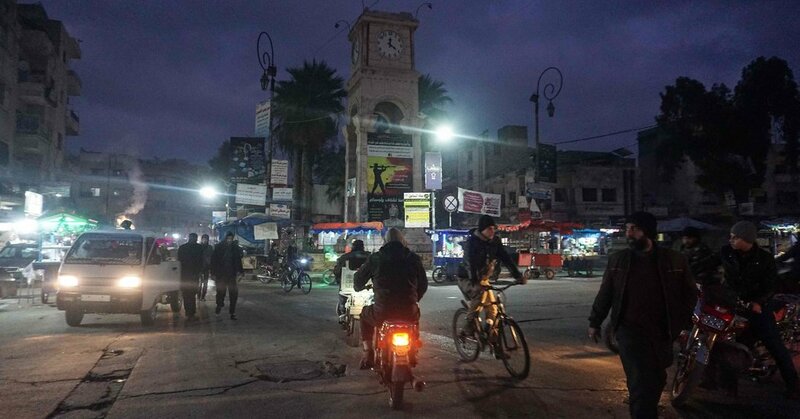 The United States has designated the group a terrorist organization, and at least two aid groups had to scale back their work in Idlib last year after the United States main aid agency put restrictions on grants. Several Western-funded stabilization programs have been suspended.